One of the greatest things about being a PC gamer is the option to customize both software and hardware to suit the players' needs. Some customization options ultimately boil down to aesthetics — RGB lighting is a prime example — but other options focused instead on actual functionality, which is why many gamers swear by certain styles or brands of headsets, mice, or keyboards. Mad Catz is on top of the trends, and Shacknews was on-site at Gamescom 2018 to look at some of the latest offerings in the company's line of Rat mice, Striker mechanical keyboards, and F.R.E.Q. headsets. It's clear that Mad Catz has been listening to consumer demands, as each of the company's latest PC peripherals hit all the right marks. 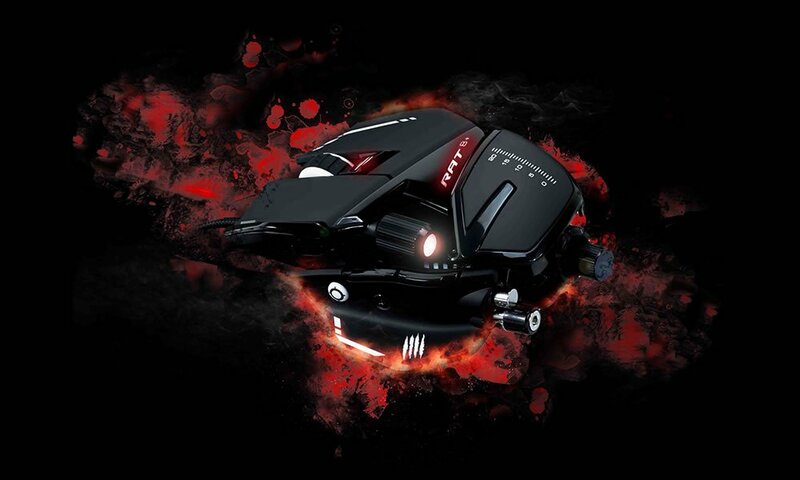 The Rat line of mice offer distinctly styled and modular capabilities, including high-accuracy sensors, adjustable palm rests, and even RGB lighting on select models. Their Striker keyboards offer similar functionality, and come complete with proper Cherry MX switches. Last, but certainly not least, the new F.R.E.Q. (pronounced like "freak") headsets and earbuds have been "completely redesigned," with new models offered in both circumaural and in-ear designs. For more great videos, including insider looks at upcoming games and in-depth interviews with the industry's hottest stars, be sure to follow both Shacknews and GamerHub.tv over on YouTube.